One aspect of Andy Castellanos’ love of America’s pastime is his love of its history and memorabilia. Andy’s proud of his collection of historic baseball bats, the first of which was given to his dad by famous Brooklyn Dodgers catcher Roy Campanella. 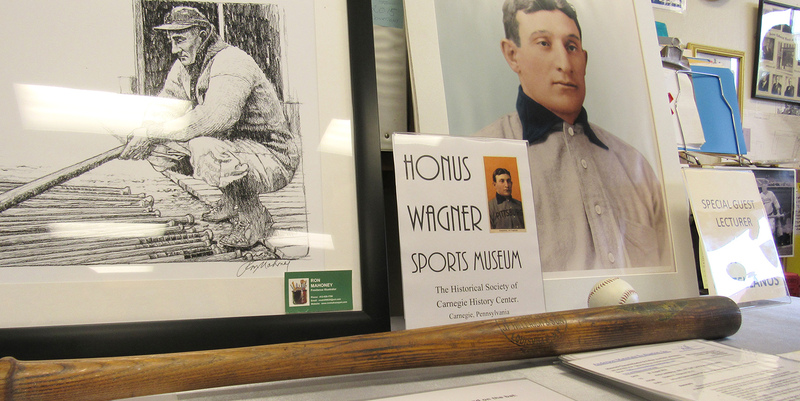 One of Andy’s most treasured historic baseball bats is one which belonged to the Pittsburgh Pirates’ Honus Wagner. Known as “The Flying Dutchman,” Wagner was one of the first five players inducted into the Baseball Hall of Fame. 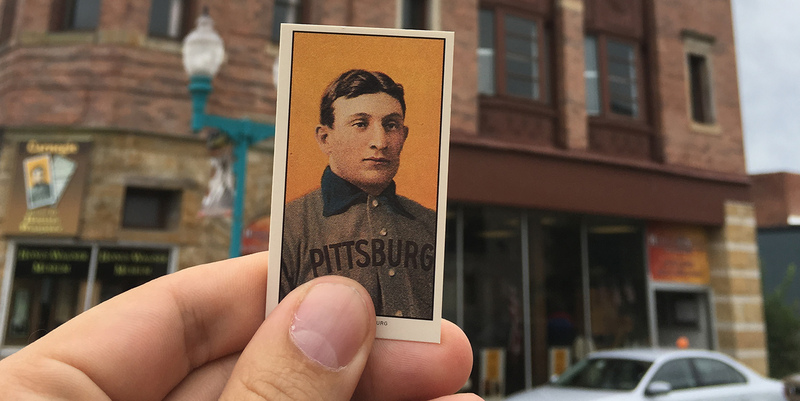 He played from 1897-1917, racked up over 3,400 MLB hits, and won an astonishing eight batting titles for the Pirates during baseball’s so-called dead ball era. He’s also one of the Pirates’ biggest heroes, and the story behind the bat further highlights his place in baseball history. One of the first things Andy noticed about the bat was its markings. First, there’s the decal near the barrel: an image of Wagner himself, situated above his signature. There’s the traces of creosote, evidence of the coal tar Wagner–the son of a Pittsburgh-area coal miner–boiled his bats in as a preservative. There’s also what are called lathe markings, which indicate the bat’s status as a “template bat”–meaning, literally, it was a bat which was used as a template for many more of its kind. Before having his contract acquired by the Pirates in 1900, Wagner had begun his career with the Louisville Colonels; it was during this time that he put himself on the baseball map. On Sept 1, 1905, Wagner signed an endorsement contract with J.F. 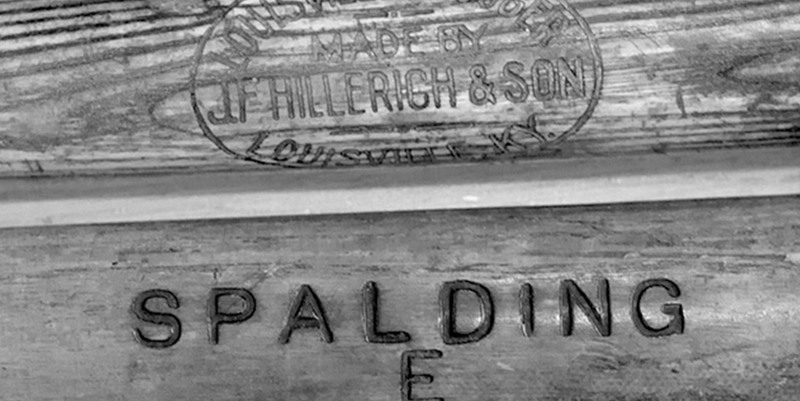 Hillerich and Son, giving the famed Louisville Slugger company permission to use a facsimile of his signature on their bats. Wagner was the first player to have his signature on a commercially produced bat, and was in fact the first athlete to commercially endorse a product. Imagine Andy’s surprise upon realizing that he was in possession of the bat from which an entire groundbreaking line of Louisville Sluggers was made! Of course, Andy couldn’t keep this bit of baseball history to himself. 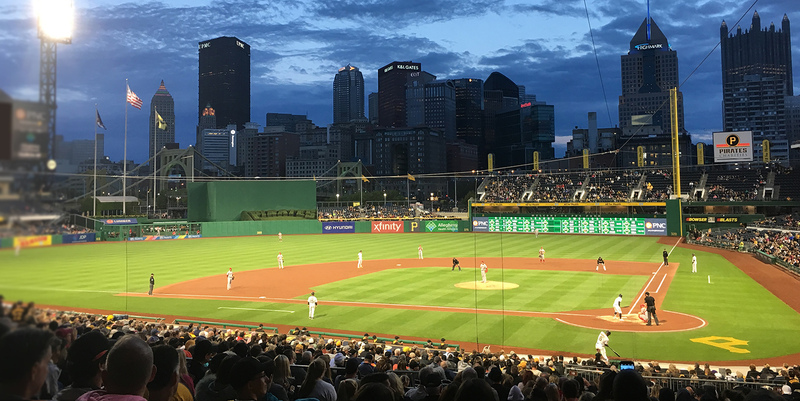 Early in 2017, Andy decided to share Wagner’s historic bat with the Roberto Clemente Museum, a museum created in homage to the Pirates’ great player and philanthropist. Unfortunately, plans to coordinate with the museum fell through. Andy instead opted to reach out to Jack Kobistek, the mayor of Wagner’s hometown of Carnegie, Pennsylvania. It turns out that Mr. Kobistek is also a devotee of Saint Rita! Some may view this as mere coincidence, but Andy believes it’s just another connection sent his way by baseball’s patron saint. 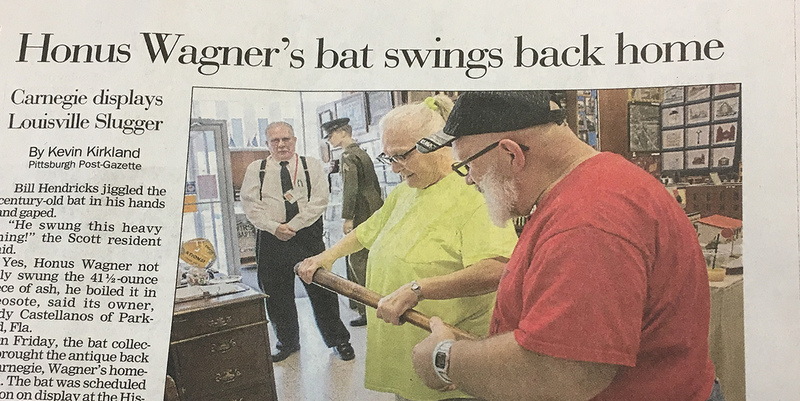 Andy and Mayor Kobistek orchestrated a visit; and on September 1st, the 112th anniversary of his historic endorsement contract, Honus Wagner’s famous “perfect bat” was put on display at the Carnegie Historical Society! Andy was thrilled to bring a piece of baseball history back home. He enjoyed how the people of Carnegie embraced him with such warmth, sharing stories about Wagner playing baseball with their grandparents. 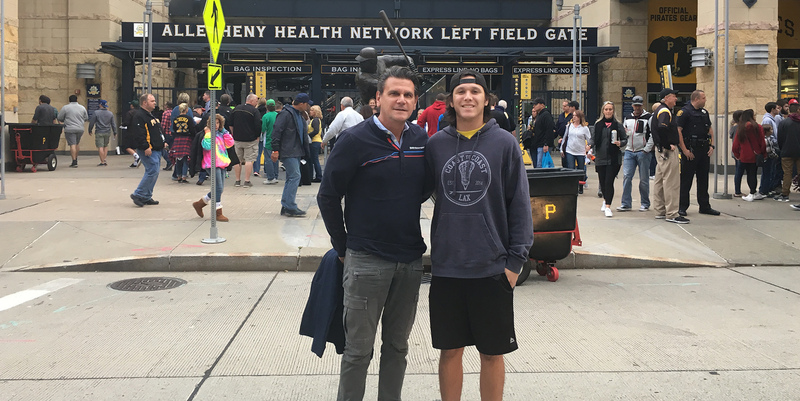 He also enjoyed his visit to PNC Park, where he, his son, and Pollen’s own Joey Rosa took in its breathtaking views while catching a Pirates game. And as always, he’s thankful to Saint Rita for the inspiration which helped put him on a path to being part of baseball history.